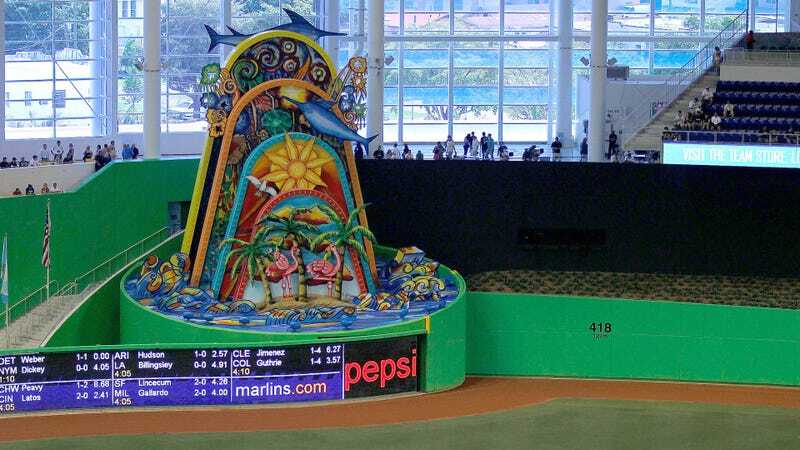 Much of the Miami Marlins’ roster from last season has departed, but the team’s true centerpiece—the home run sculpture in the outfield—is set to remain, at least for now. That’s not for lack of trying by CEO Derek Jeter, who’s indicated that he’s not a fan. But the fact that the statue is considered public art (due to, of course, the hundreds of millions of dollars that the stadium got in taxpayer money), means that tearing it down is trickier than, say, trading away a young star. For the time being, the statue stays. Wrong. There are two different statues of Christopher Columbus and three of George Washington in D.C., and zero whimsical technicolor home run machines. This trade should be easier than any that Miami’s made this winter.